Dunwoody Ridge offers apartments in both Classic and all-new Deluxe apartment interior finishes. When checking apartment availability at the links below, the word “Deluxe” will be included in the description of newly renovated apartments; all other apartments are Classic apartments. 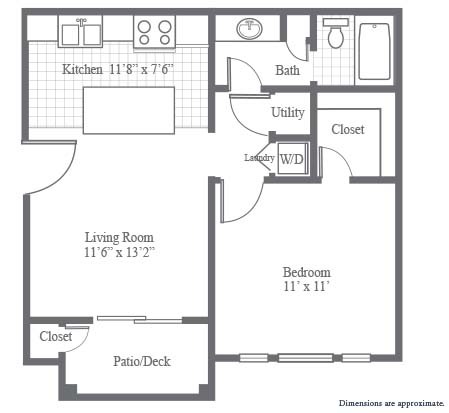 Dunwoody’s most popular and affordable luxury floor plan! A free-standing breakfast island is the center of entertainment, crown molding, stainless steel appliances in select units, microwave, private patio or balcony, ceiling fan, walk-in closet, outdoor storage closet, LED lighting for ambiance and energy efficiency and washer & dryer. 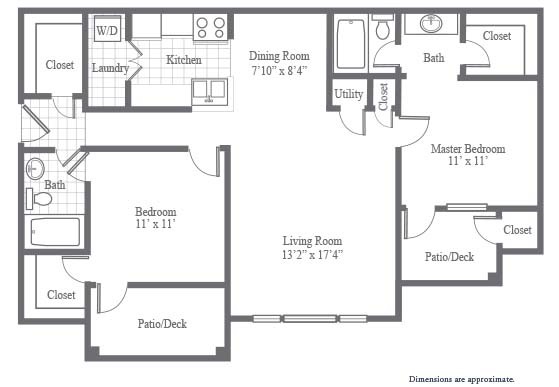 Large living room and separate dining, crown molding, fully equipped kitchen with stainless steel appliances in select units, microwave, walk-in closet and outdoor storage closet, ceiling fan, LED lighting for ambiance and energy efficiency washer & dryer, private patio or balcony. Wood-burning fireplace in select units. 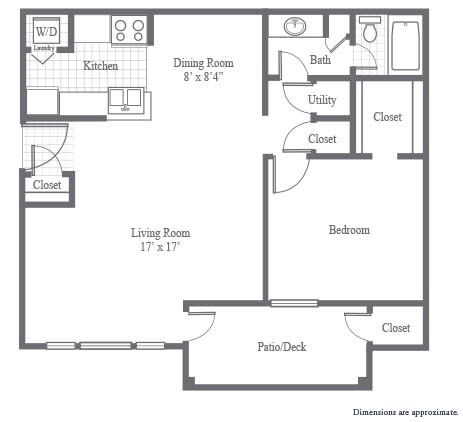 Large living space and separate dining, crown molding, fully equipped kitchen with stainless steel appliances in select units, microwave, private patio or balcony, walk-in closets and outdoor storage closet, ceiling fans, LED lighting for ambiance and energy efficiency and washer & dryer. Wood-burning fireplace in select units.